Today, I participated in professional learning with students, staff and parents. More and more over the last year, I have facilitated and participated in this model of learning. Although, depending on the topic, it is not always appropriate, I find that I learn so much out of these rich discussions where multiple perspectives are represented in the dialogue...we truly are better together. Our topic today, “For the Love of Learning”, set the stage for discussion on learning and assessment practices. We talked about how our current educational practices were established as norms during the industrial revolution and how this is an exciting time of change where educators are moving away from those outdated practices. In the words of one of our wise students today, “we are able to do way more now than back then.” At our school, the “6 C’s” of 21st century learning; citizenship, communication, critical thinking, collaboration, character education, creativity (and we often add “choice and voice” as a 7th C) are the underlying consideration in all that we do. Our opening activity today involved introducing ourselves and briefly discussing a favourite school memory. At the end of the activity, we discussed the commonalities between our favourite memories...they all involved hands on, engaging active learning, not the time we got 83% on a test. This brings me to my next points, as our teaching changes, so must our assessment, and as in any process where change is being made, it is best done with all voices at the table. 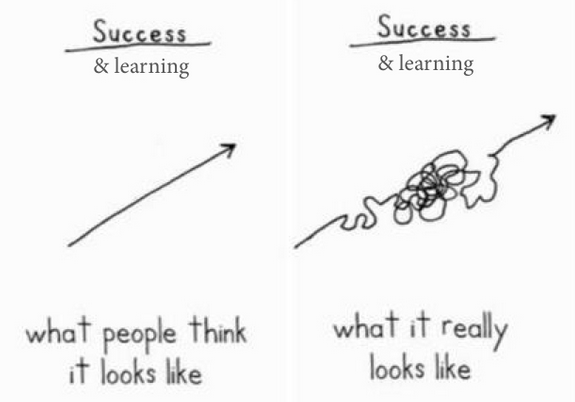 I love this photo that illustrates the concept of “messy learning”. When we work through problems, as opposed to setting a structured beginning and end to learning, learners (and I say learners because it may be students, parents or staff that are in this role) will likely encounter roadblocks, problem solve, unlearn misconceptions, relearn, work through failures, experience frustration and excitement. It is a far more complex process, however, in my opinion, a far more authentic and valuable process. A key component in this process involves feedback. We discussed the concept of “feedback” vs. “feed forward”. Looking at the two photos below. 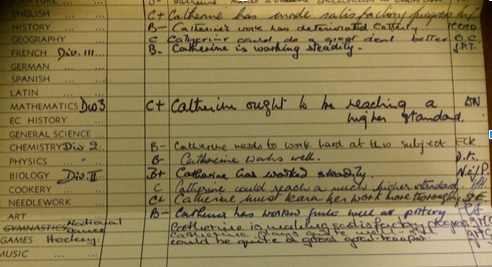 In the older version of a report card, marks and comments are given, but with no suggestions or opportunity to make improvements. Isn't that is what learning is all about? 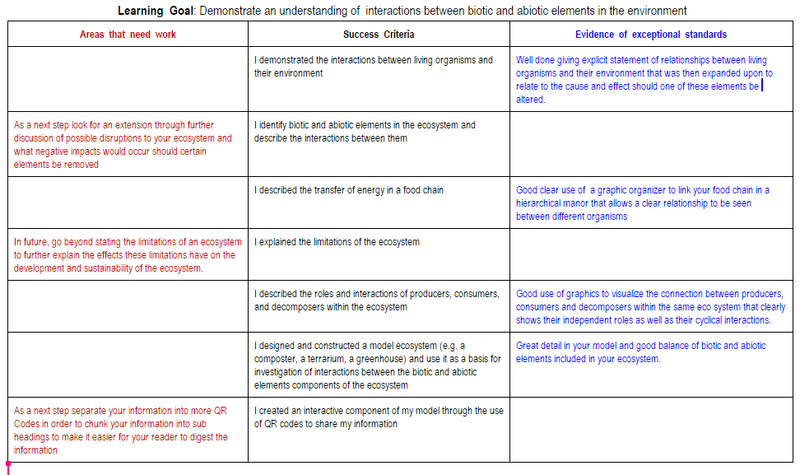 In the second picture (a single point rubric), you will notice that there are no grades, but lots of excellent feedback based on a clearly defined learning goal and success criteria. In the second example, it is clear what the student is expected to know/learn/do, what learning they have demonstrated and where they need to improve. Which is the more valuable assessment tool? An area that I have noticed can often be challenging for teachers is not around giving feedback, but more about insuring that it is meaningful and acted upon by students. A great next step in this area that we discussed today is to give feedback in the form of a question. When you do this, students interact with the feedback and become naturally engaged in the process. As an administrator, the concept of using effective feedback as a high yield strategy to support student achievement is an area that I will continue to explore through this process, both as a learner and as a leader within my school community. If you have a great example of feedback methods that you are using, I encourage you to share to #SCDSBttog We truly are better together! The other day students were writing scripts with their peers using Google Docs. I was easily able to give them feedback on their character development and storyline. The beautiful thing about this was that students were excited to hear from me. The other great thing is that my feedback will be there when they write the next script. Part of the process is that they visit previous feedback to improve future work. No marks, just feedback. Students will create a body of work over the next few months and revisit the feedback they have received to see if they were able to improve the work by referring to it. Hopefully, THEY will see the growth.